Even though Puerto Rico is still recovering from Hurricane Maria, the vast majority of it has re-opened for business, and the best way to support your fellow Americans who live there is to visit! This summer is the perfect time to do it because it just so happens Puerto Rico has some of the most stunning beaches to be found anywhere in the world. Here are five of the best beaches you can visit in Puerto Rico right now! 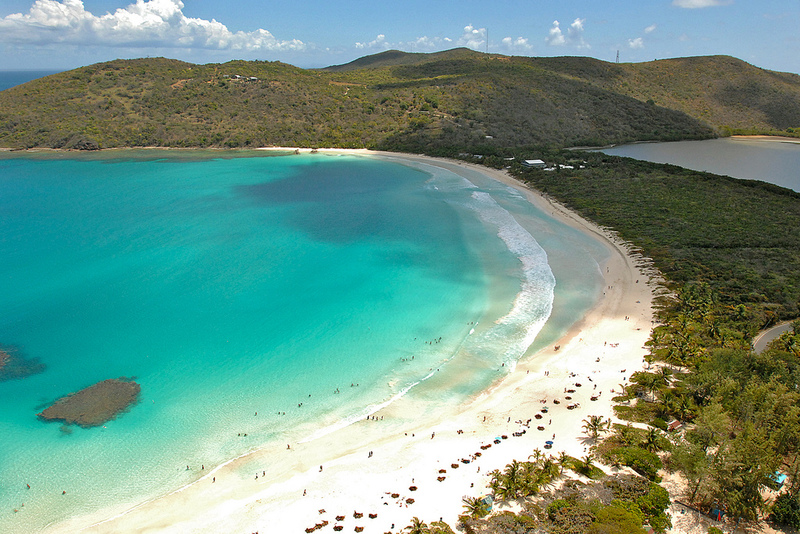 Another great day trip by boat from the main island is Culebra, the crown jewel of which is arguably Flamenco Beach — it’s regularly ranked one of the best beaches in the Caribbean, and often in the whole world. The water is warm, there are no rocks — just soft sand and little fish and one extremely large fish named Godzilla who comes to the same spot every day to hang out. Also, sea turtles, if you’re a bit lucky. 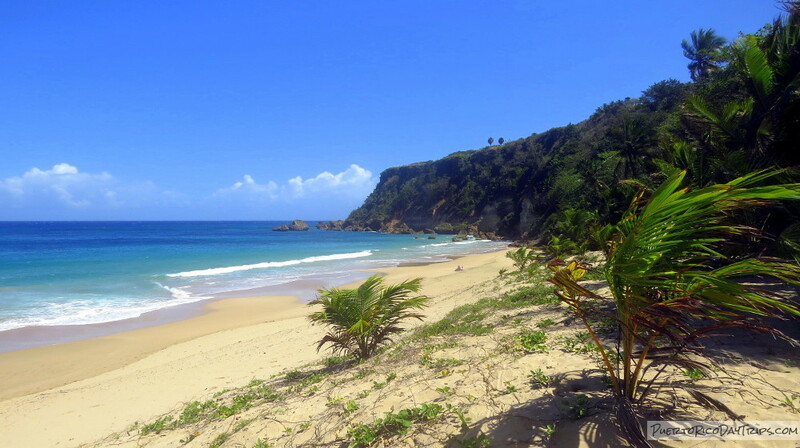 While you’re in Aguadilla, you’ll also want to see Peña Blanca. Also known as Wishing Well Beach, this site is best visited in early summer. It’s being forever reshaped by the tides, so you could visit year after year and still feel like you’re seeing it for the first time. Bring your snorkeling gear and keep an eye out for sea turtles. 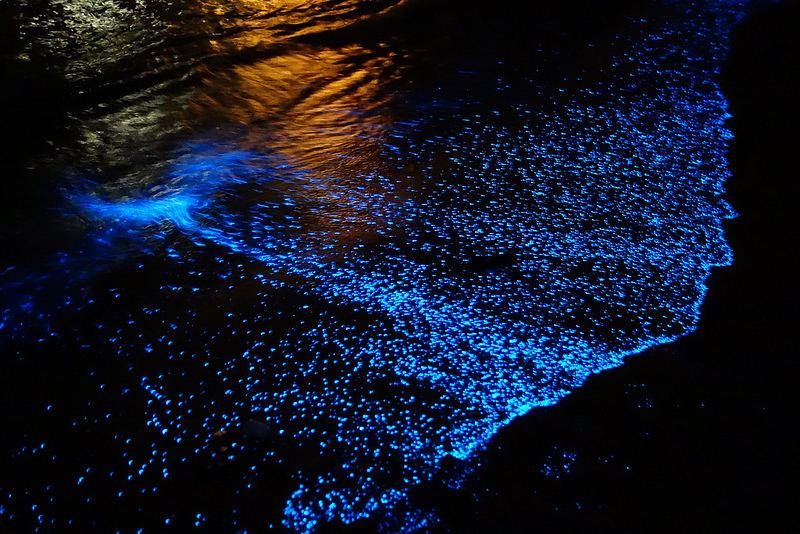 There are only five bioluminescent bays on Earth — bays where microorganisms illuminate the water from within as if it contained a million blue/green fireflies. Three of those five bays are in Puerto Rico. One of those three — Mosquito Bay — was long recognized as the best and brightest in the world. After Hurricane Maria struck in September 2017, Mosquito Bay went dark. Now, it’s starting to glow again, and we must celebrate this by going there. Timing is important here — make sure you see it under a new moon when it’s at its best. Recently reopened post-Maria, La Monserrate has long been beloved by both locals and tourists for its clear waters and family-friendly vibe. This is one of Puerto Rico’s handful of Blue Flag beaches, meaning it’s studiously kept up to make sure it’s clean, safe, eco-friendly, and, of course, stunning. 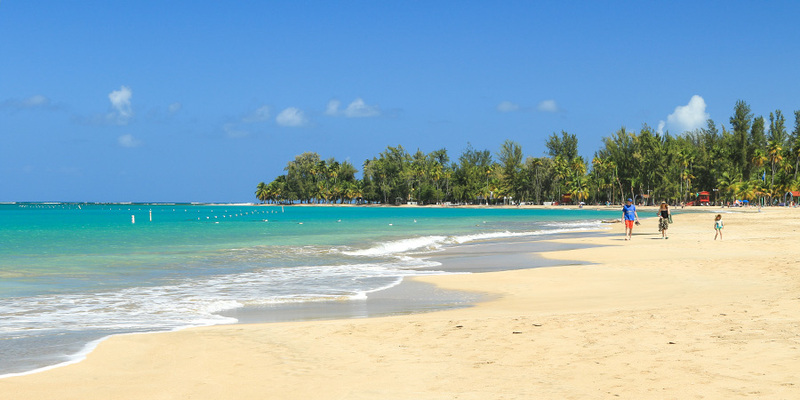 It lies in the northeastern Luquillo (and also goes by Playa Luquillo) — the small town known as the “sun capital” of the island. Oh, were the first three on this list not adventurous enough for you? Try this one. Located in the northwest town of Aguadilla, this beach is secluded, comparatively harder to get too, and as a result less crowded. Search the waters for remnants of planes from the former Air Force base nearby. 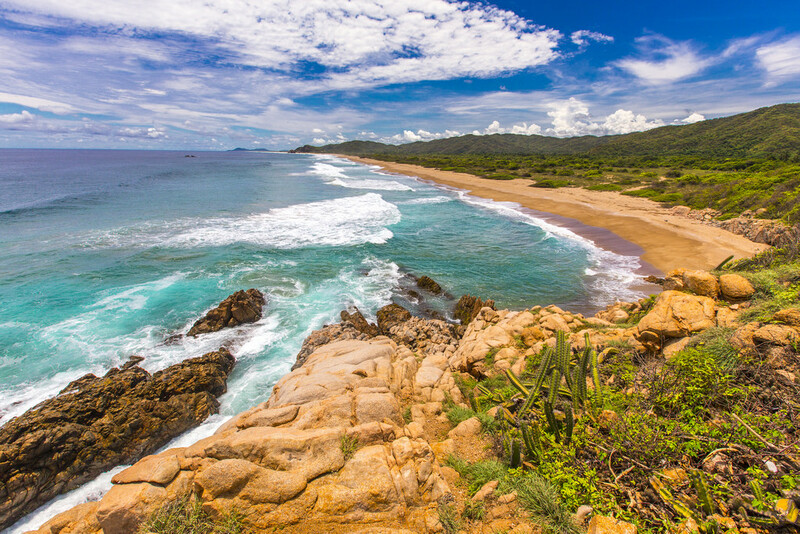 These beaches are relatively safe, but we recommend using WanderSafe to gather location-based safety tips, real-time safety updates, and where you can share your travel tips with others! Its free to download on Itunes.